Standard paper carton or customized packaging. 50000 square meters per month. 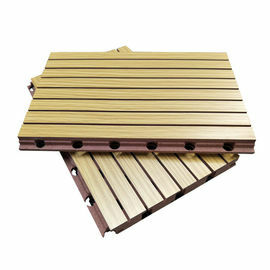 Groove acoustic panels are made of medium density fiberboard (MDF) material that expands depending onclimate conditions. For this reason, it is important to leave a distance, called dilatation joint,between the perimeter of the wooden panelling and walls and other fixed objects in the premise. During summer season, panels expand considerably due to high air humidity and temperature. A minimum dilatation joint of 8mm (1) must be guaranteed. In case of wide surfaces, this joint has to be increased. As a general rule, a minimum of 1,5mm of joint for each lineal meter of panelling is needed at each side of the room. Example: a room of 5m in width needs a minimum of 8 mm of dilatation joint at each side. Note: minimum 15 mm with a relative air humidity > 65%. panelling goes off. Dilatation joints are covered with skirting boards or special profiles. 1. 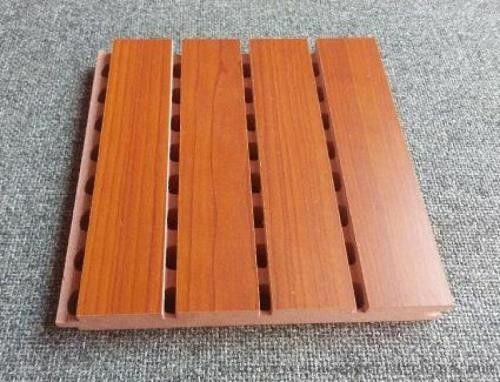 Basic mterial : it is made of high density moistureproof and mildewproof board,the thickness is 9mm,12mm,15mm or 18mm.It is also acceptable to use the other board according to the customers' requirement. 2. Facing : melamine facing,color chosen according to the company's color board. 3. 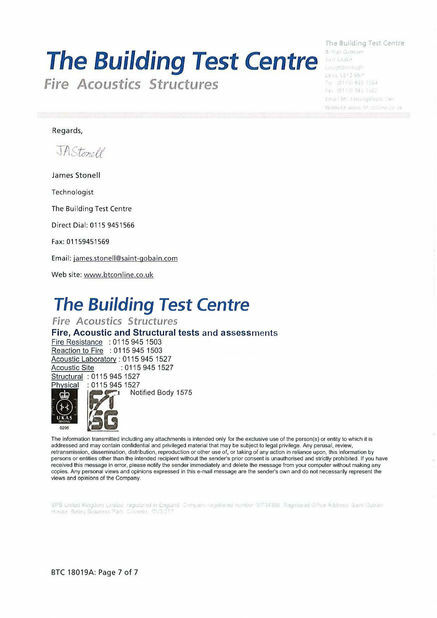 Sound absorption thin felt : it is black,affixed to the back of the sound absorption board,nonflammable and sound absorption. 4. 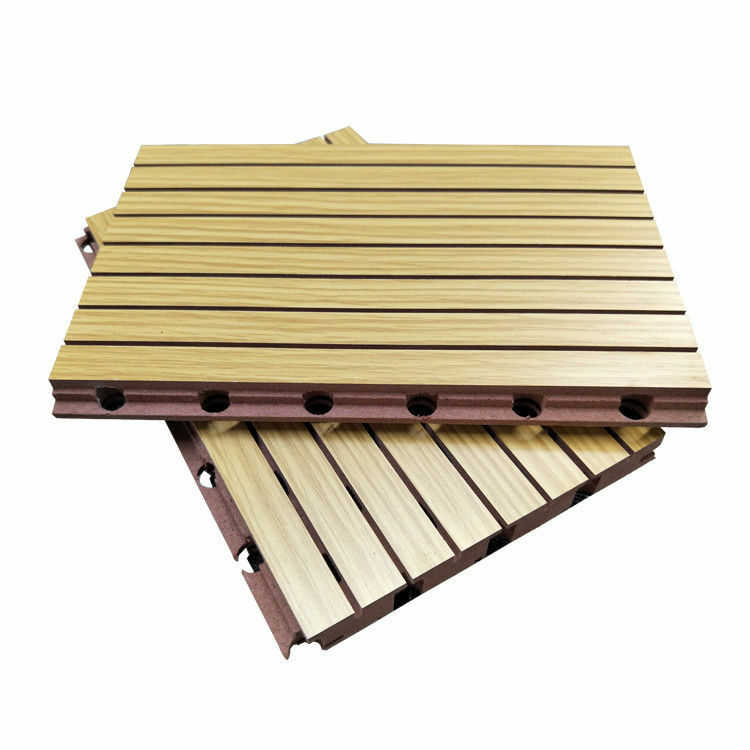 Batten width : 128mm,or made according to customers' requirement. 5. 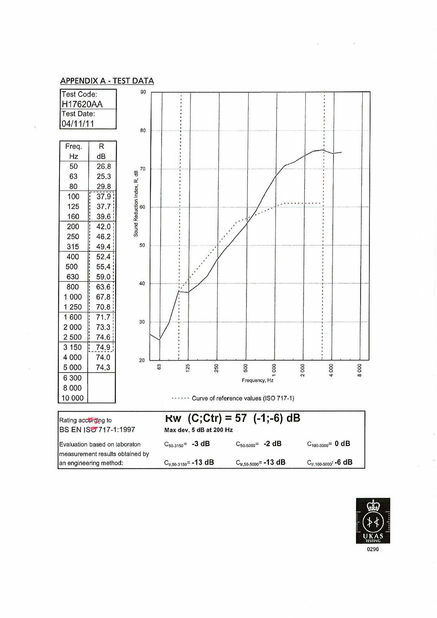 Batten length : 2440mm at max. 6. Acceptable tolerance : for width it is 0.1mm,for length it is 2mm.